Plant assets (also called property, plant, and equipment) are resources that have physical substance (a definite size and shape), are used in the operations of a business, and are not intended for sale to customers. The cost principle requires that companies record plant assets at cost. Cost consists of all expenditures necessary to acquire an asset and make it ready for its intended use. If a cost is not included in a plant asset account, then it must be expense immediately. Such costs are referred to as revenue expenses. Costs that are not expense immediately, but are instead included in a plant asset account are referred to as capital expenditures. Once cost is established, it becomes the basis of accounting for the plant asset over its useful life. Depreciation is a non-cash expense. The term depreciation is used with reference to tangible fixed assets because the permanent continuing and gradual fall in book value is possible only in the case of fixed asset. The value of assets gradually reduces on account of us Such reduction in value is known as depreciation. Such cost allocation is designed to properly match expenses with revenues. Allocates an equal amount to each year of the asset’s expected life. The basic idea is that straight-line recognized that same amount of depreciation per year. Whatever that year. Under the straight-line method, an equal amount of depreciation expense is recorded each year of the asset. On 1st, January 2005, Machine worth Rs. 20,000 was purchased. The estimated useful life of this is 4 years and scrap value is estimated Rs. 2,000. 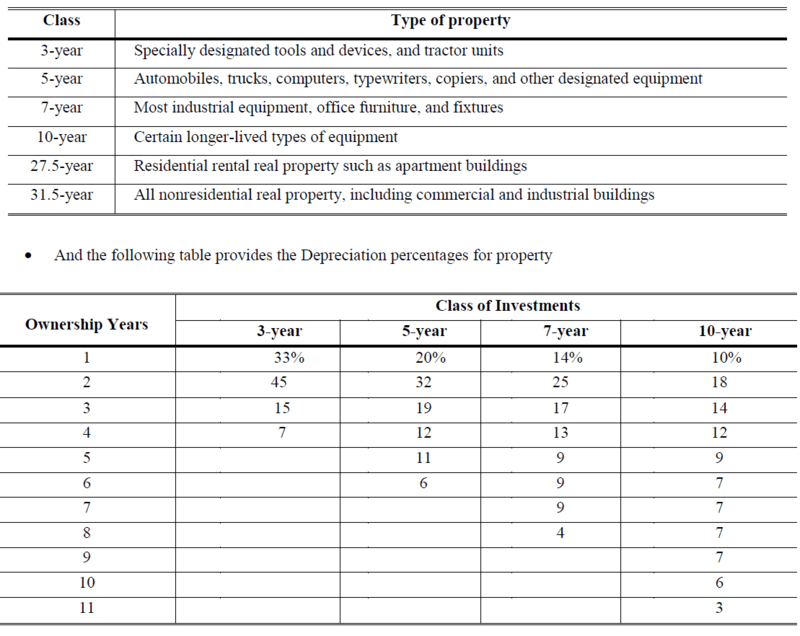 Find the amount of annual depreciation under straight Line Method and prepare Schedule of Depreciation? On 1st, January 2005, Machine worth Rs. 40,000 was purchased. The estimated useful life of this is 5 years and residual value is estimated Rs. 3,000. 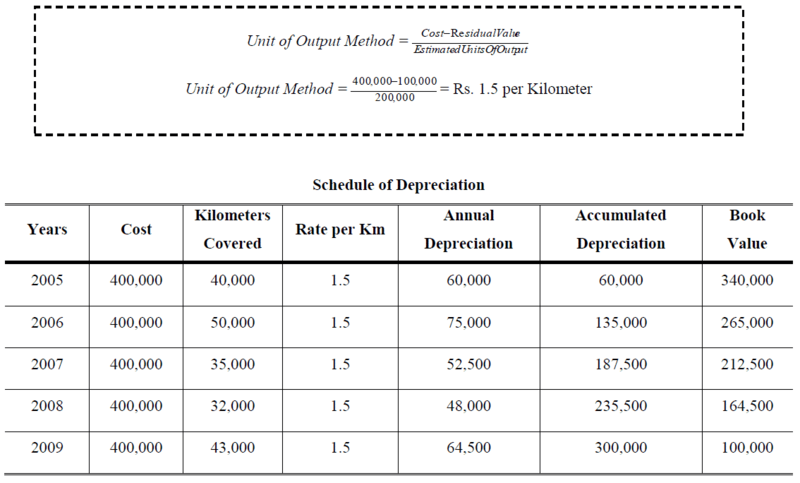 Calculate the depreciation expense of machinery by Double Declining Balance Method and prepare Schedule of Depreciation. Sum of the Years’ Digits Method is also based on the assumption that the loss in the value of the fixed asset will be greater during the earlier years and will go on decreasing gradually with the decrease in the life of such asset. The SYD is found by estimating an asset’s useful life in years, then assessing consecutive numbers to each year, and totaling these numbers i.e. SYD = 1 + 2 + 3 + 4 + …… +. 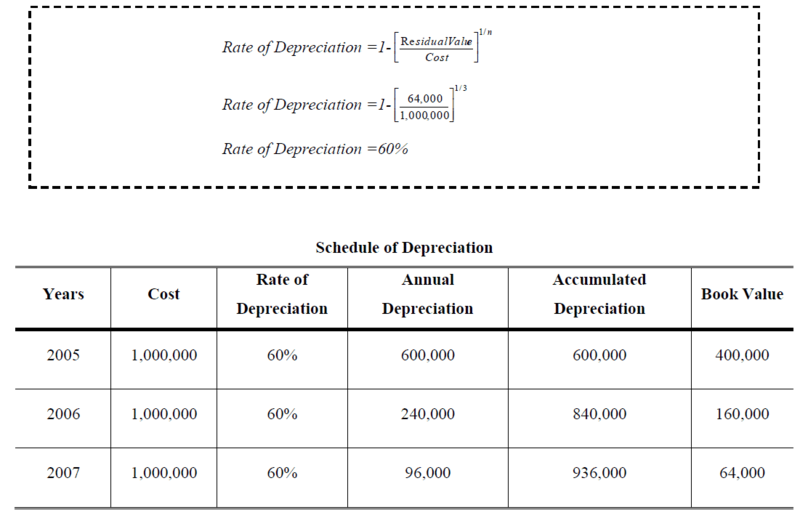 Depreciation is calculated on cost minus residual value (Written off value). ABC Ltd. purchased a truck for Rs. 65,000 on 1st January 2001. The expected life was 5 years and salvage value Rs. 5,000. Calculate the annual depreciation expense by applying sum-of-the-years’ digits (SYD) method. Orange Computer Inc. bought a new computer for Rs. 25,000 in 1995. Orange Computer paid an additional Rs. 2,500 for shipping and installation costs. What is the depreciation value of the computer over the life of the computer?